Do You Really Know What Cinco De Mayo Day Is? 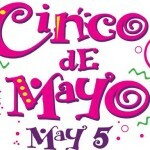 Home > Blog > Do You Really Know What Cinco De Mayo Day Is? Today is the fifth of May (or Cinco De Mayo for those of you who know your Spanish). This is one interesting holiday in that it’s incredibly misunderstood. For instance, did you know that Cinco De Mayo is actually more widely celebrated in the United States than it is in Mexico? It’s seems preposterous at first, right? I mean, how can a holiday with a SPANISH name be a primarily AMERICAN holiday? And why wouldn’t Mexicans celebrate their own Independence Day? It doesn’t make any sense! Well, let’s not get too far ahead of ourselves. First and foremost, the main thing to understand about Cinco De Mayo is that it is NOT the Mexican Independence Day. Mexico’s Independence Day (as relayed in my September 16 Blog post) is on September 16. It was on this date back in 1810 that one Father Miguel Hidalgo, a Catholic priest, literally rounded people up from the markets and streets of Mexico to declare their independence from Spain. Cinco de Mayo, on the other hand, celebrates Mexico’s regaining of their freedom in 1862 from the short-lived French invasion. The Mexican state of Puebla calls the holiday The Day of the Battle of Puebla (or El Día de la Batalla de Puebla, Spanish Speakers). Though the day is celebrated in parts of Mexico—especially in Puebla—their freedom from Spain is much more important to the Mexican people. But despite the fact that Cinco De Mayo may be as confused and misinformed as it is, it’s also a day in which the Mexican culture is celebrated and honored by the citizens of another country—which I think is pretty cool! It’s certainly a day that’s worth acknowledging. Its purpose has just become a little clouded. So with a clearer understanding of today’s celebration, I wish you all a good Day of the Battle of Puebla. Thanks for reading.